The Office of the United States Trade Representative (USTR) has issued a frank warning to China that their online censorship and surveillance programmes, along with their attempts to block access to VPNs in the country, are having a hugely damaging impact on trade and the country’s economy. Most people are familiar with the so-called Great Firewall, the tool which the Chinese Communist Party (CCP) uses to block access to countless websites and online services as well as monitor what every person in China gets up to online. But as well as having a hugely detrimental effect on individuals’ online rights, the Great Firewall is also massively damaging to business operating in China too. For domestic businesses, the effect is minimal. Most Chinese businesses will know that unless they follow the orders of the CCP to the letter, their business is likely to be wound up and they could well end up in jail, or worse. But there are no shortage of international businesses that are keen to do business in the huge Chinese market. And the Great Firewall makes life very difficult for them. As the US-China trade war escalates, with tariffs being imposed by both sides, the USTR has begun to ratchet up the pressure over Chinese censorship. They have issued more and more statements on the issue over the past year. And they claim that the CCP’s online censorship and surveillance measures are causing billions of dollars in damage to US businesses and interests. This is not something the US is likely to put up with for long. The issue has been exacerbated in more recent times by the CCP’s attempts to block access to VPNs, which many international businesses and individuals depended on. Late last year, the CCP formally banned any VPNs which were not approved by the Communist Party from operating in China. 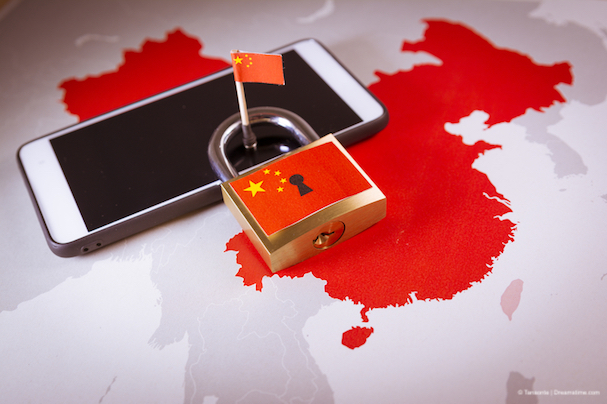 VPNs which are approved are almost certainly handing over user data to the CCP, while businesses have the option to buy a hugely expensive secure connection, which the CCP will also be monitoring. For any businesses who value intellectual property or corporate privacy, using such services is inconceivable. And while many of the best VPNs remain available in China, it is now much harder for businesses to use them without getting in trouble. The US-China trade war, which appears to now be well underway, is likely to see costs rising for many international businesses operating in China. And combined with the increase in online censorship and surveillance, it seems inevitable that more international businesses will start to pull out of China rather than soak up the financial hits they are having to take. This is not only bad for the businesses themselves, and the US economy, but also the for Chinese economy too. Data on China’s economy is anything but trustworthy, but most experts agree it is on shaky ground and question how robust it would be in the face of increasing tariffs and the withdrawal of big business. At the same time as cracking down on online freedoms, the CCP is trying to give the impression that it is embracing and investing in new technology. However, one area where it has withdrawn support in the trade in cryptocurrencies. The CCP has concerns over the instability of cryptocurrency markets and the likelihood of such markets causing public unrest. They have therefore banned access to international cryptocurrency exchanges across the country. Some Chinese traders have opted to leave the country to continue their business is free and democratic countries like Taiwan and Japan. But others have turned to VPNs to continue trading while still in China. According to reports in the South China Morning Post, 124 offshore exchanges have been blocked in China so far and this has seen a drop in activity of around 33% in China. Most domestic-based exchanges have been shut down by regulators. But those still going, and others which have been reincarnated, have found innovative ways to get around state restrictions. Many have moved to offshore domains and servers and still receive a great deal of business from within China with customers using VPNs to hide their activity from state surveillance. One source within the industry told the South China Morning Post that “there are no current or even foreseeable restrictions on using VPNs in China, providing a potential loophole for traders”. And while the CCP continues to try and stop money made through cryptocurrency trading making it back into China, identifying such transactions is like looking for a needle in a haystack even for the behemoth that is the CCP bureaucratic machinery. So, despite the best efforts of the CCP, VPNs not only remain available in China but are still essential for businesses and individuals to do many of the everyday online activities that those of us in the rest of the world take for granted.